Having come of age listening to GOPac tapes under the tutelage of a younger Newt Gingrich and observed at close hand the Speakerships of several others, permit me to offer some observations and a recommendation. Newt distilled it down early on saying, “If you can’t communicate, you can’t govern.” Newt Gingrich was (and still is) a fabulous communicator. He had the ability to take complex subjects and reduce them to simple, understandable statements. He helped the entire class of ’94 become better at telling our story. He understood that the media and the angry Left would never give us any slack, so we had to take our message directly to the American people. And we did. At his direction, we had a specific agenda. We told the American people what we were going to do in the Contract with America. We pledged to reduce taxes. Not to help big business fat cats, but because we understood whose money it was. We were convinced that Americans could spend and invest their money smarter than Washington could on their behalf. We pledged to reform the welfare system, requiring work. Not to save money, but to save people. The system was consuming the participants. Too many of our countrymen were being trapped in a repeating cycle, creating generations of dependency and despair. Work is more than a way we earn a living, it gives us a sense of worth and pride. On the third try, President Clinton was forced to sign it. Our promise to balance the budget wasn’t just an accounting exercise. It was anchored in the belief that in peace time, it is morally wrong for one generation to borrow against the next. We started with a simple question, why should the federal budget grow at a faster rate than the average family budget? Reducing taxes and reigning in on regulations allowed the economy to boom. Combining that with dramatically reducing the rate of growth in federal spending allowed us to balance the budget and actually pay down over half a trillion dollars of debt. It was achieved ahead of schedule with little help from our friends on the Left. Imagine that. Newt was succeeded by an amiable coach from Illinois, Denny Hastert. He was the direct opposite of Newt. He avoided confrontation and was a miserable communicator. He served longer than any Republican Speaker. But, other than expanding Medicare drug coverage (which was not paid for) he left little in the way of a legislative legacy. The Congress abandoned pay-go rules and began running up massive debts again. Without a message or a legislative agenda, Congress was adrift. John Boehner climbed into the Speaker’s Chair after a brief fling with Ms. Pelosi. A very likable guy with a love of golf, red wine and nicotine. He had certified conservative credentials. He didn’t believe in earmarks. Unfortunately, he shared Hastert’s lack of communication skills and a clear agenda. He eventually came to be seen as a spokesman for the power-brokers on K Street more often than for conservatives on the back bench. Their distrust became malignant and his days were numbered. Having known and liked Paul Ryan since even before he ran for the House, I had high hopes that he would be an effective communicator for conservative principles. Those hopes were quickly dashed. For whatever reason, he decided to play it safe and follow in the footsteps of his predecessors. He did get important tax reform passed. But, since the election of Donald Trump, many of his statements have sounded more like things you would expect from an opposition leader. Sadly, he has been mostly mute on the clear abuses at the DOJ and FBI. Hard to defend or explain. Now the House Republicans will have a chance to choose a new Speaker. These elections are filled with palace intrigue. Members (as well as lobbyists and staff) are concerned with how the election will effect their positions and power bases. It can quickly become a game of “what’s in it for me?” Sad but true. We can only hope that they will rise above their petty interests and select a person who can communicate a coherent and persuasive case for a winning conservative agenda. Fortunately they have one. He is a former wrestler who won’t be intimidated by the Democrats or their parrots in the press. He can actually help the President get his agenda translated into legislation that will be signed into law. As important, we have little doubt that he will insist that the real colluders be held to account. Newt was right. If we are to effectively govern, we need an effective communicator for our next Speaker. Ohio’s Jim Jordan is the perfect choice. Gil Gutknecht served six terms in the U.S. House of Representatives. 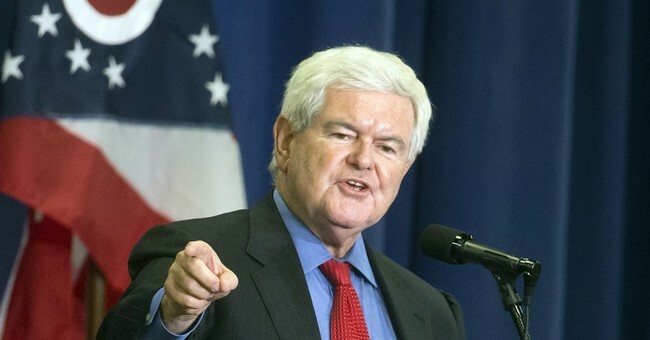 First elected in the historic Gingrich, Contract with America class. He now writes about healthcare and political issues of the day. He is currently working on a book about the high costs of Rx drugs.